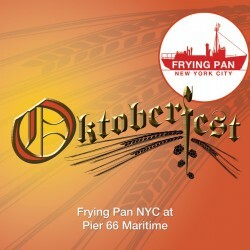 Jump into your Lederhosen or Don your favorite Dirndl and join us for our Fifth Annual Oktoberfest Celebration with Traditional Food, German Beer, Live Music, a Genuine Hog Roast and More here at Pier 66 Maritime, home of Frying Pan. 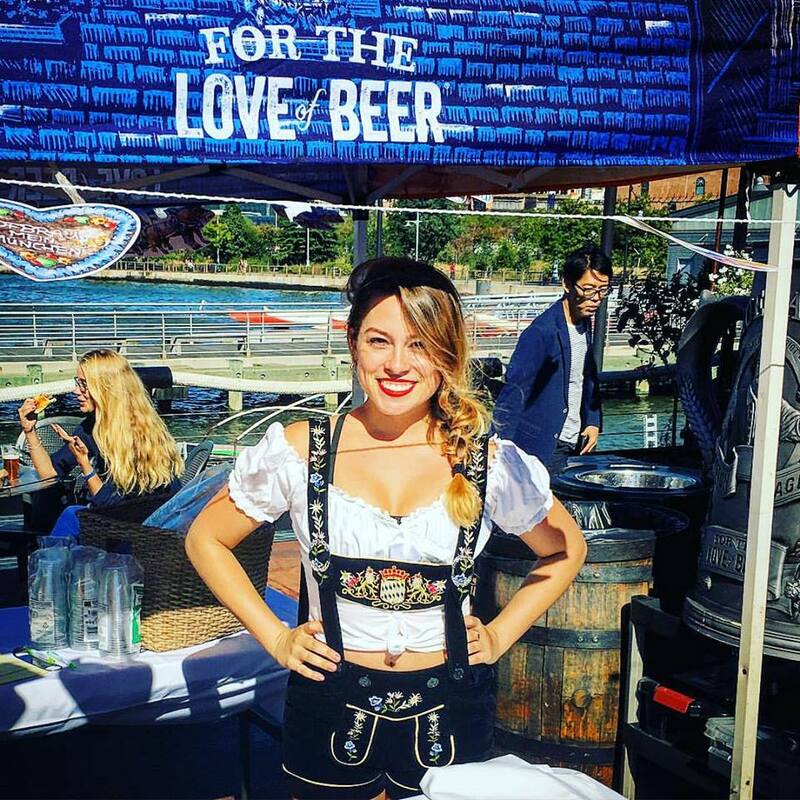 We are planning a myriad of special events from Tapping of the Keg & Costume Contests, to Raffles, to Stein Hoists and much more. 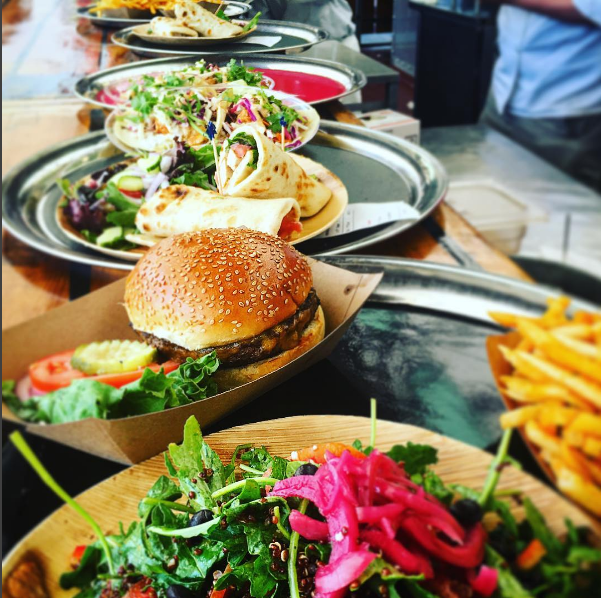 Our kitchen cooks up some of the best Festive Fare that this time of year has to offer, in addition to our menu we will welcome Schnitzel, Wurst (Sausages supplied by Ends Meat NYC), Bavarian Pretzells, Potato Pancakes, Strudel and Kraut. 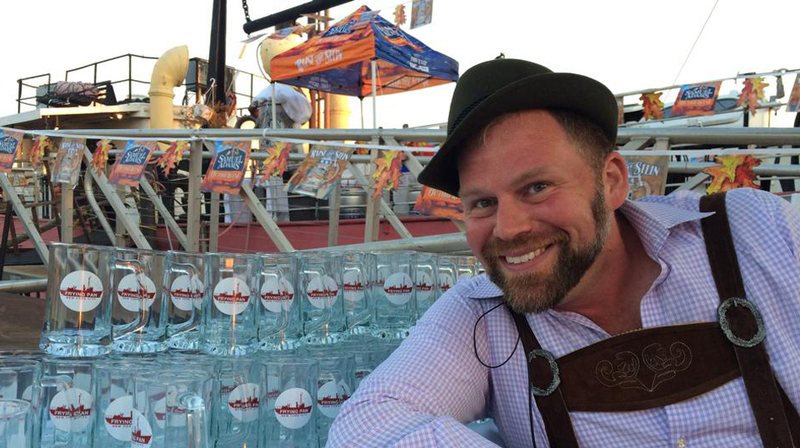 Purchase one of our Pre-Sale Event Packages and you have a Guaranteed VIP Entry Ticket (before 4:00 pm) as well as a discount on every beer that goes in the Souvenir Logo Stein! 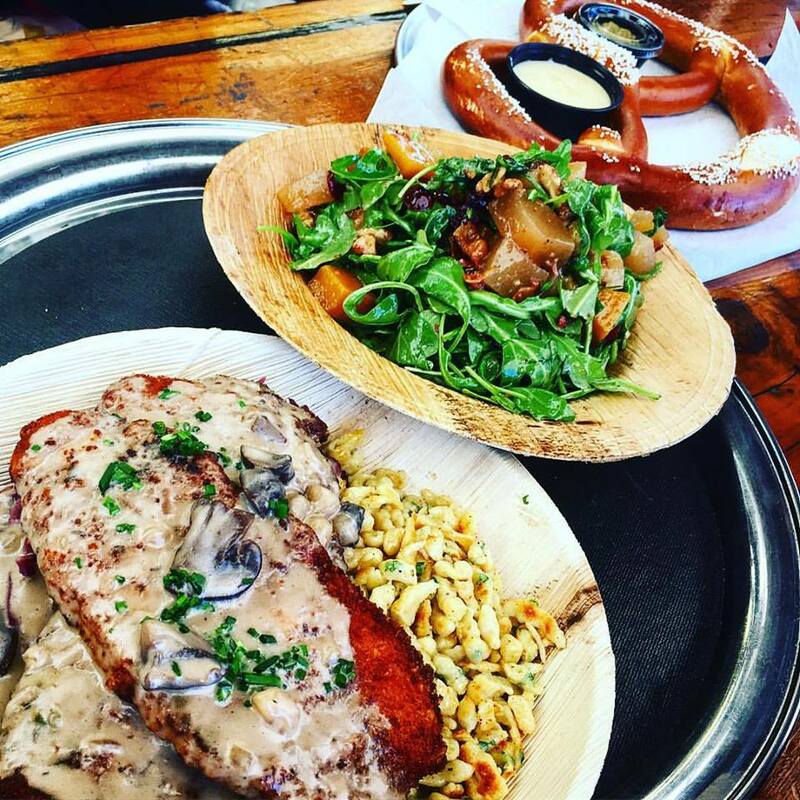 This was our Menu for Oktoberfest 2018.
all of our würste are produced in Brooklyn by Ends Meat NYC !